Finding joy in giving back brings you to a different layer of the life spectrum. It is practicing gratefulness at its maximum potential. It is exploring life beyond your intrinsic needs and realising that the world is filled with endless ways to contribute to a collective wellbeing. Having a free flow of genuine goodwill endows others with a sense of honour. Whether it is your neighbour, professor, helper, colleague, family member, a refugee or an individual in need on the other side of the world, acknowledging them at the same level of tribute, represents practicing kindness in a mindful manner. Giving without expecting anything in return also implicates removing excuses from your vocabulary, and aiming to leave significant traces in other people’s minds, hearts and lives. Personal and professional encounters with people from multiple backgrounds shape your own identity. It provides you with a more refined sense of who you are in relation to others – what sets you apart and what makes us the same. This is why it is important to take where one can take advantage of being a source of greatness. Volunteer, volunteer and volunteer! Embrace diversity, make the best out of each time by mixing elements of fun, wisdom, enlightenment, talent, compassion, and savoir-faire. Remember that maintaining respectful dialogue while confronting difficult issues will provide you with a valuable disposition. 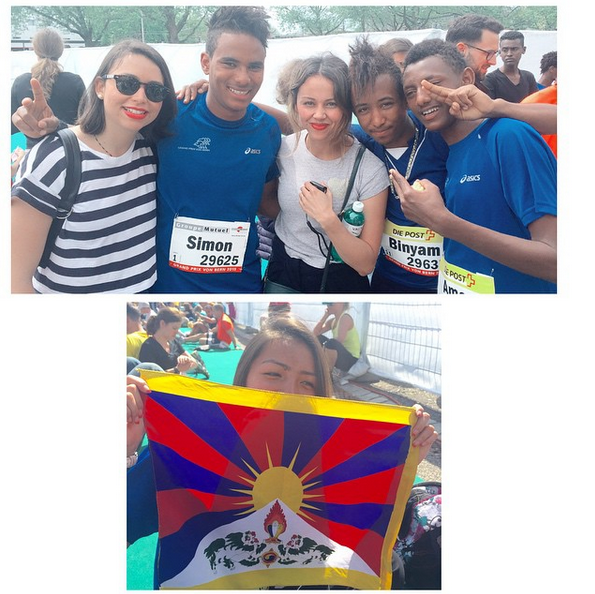 * The kids featured in the photo participated in the 5km and 21 km race #GPBERN2015 and were trained by volunteers from the beginning of the year. Sports, education and music can do wonders. It has shown to help people cope with nightmares and feelings of despair, and ultimately help them move forward. This experience served as an excellent reminder that life is, indeed, not at about yourself! It never was. It is easy to get wrapped up in fixing your own life. It is easy to complaint. “No one is useless in this world who lightens the burdens of others, and the best way to find yourself, is to lose yourself to in the service of others” MG.